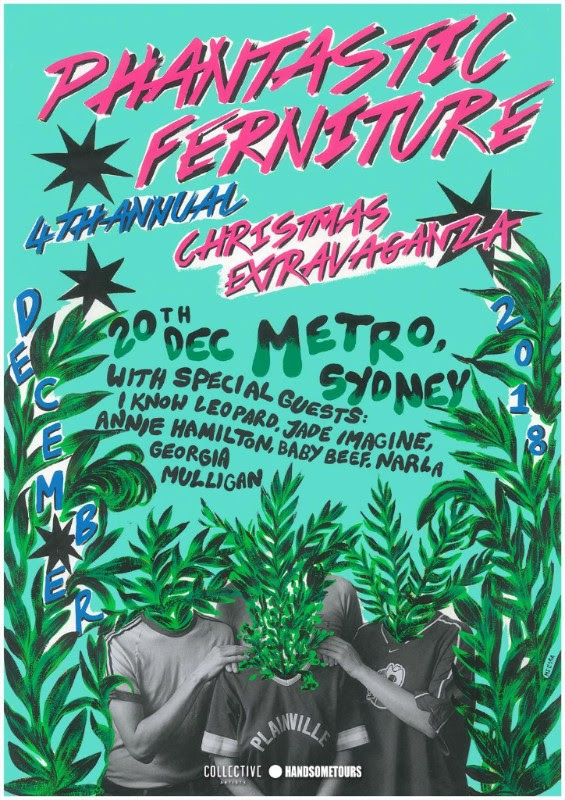 Handsome Tours and Collective Artists are excited to announce the return of Phantastic Ferniture – the euphoric garage-pop project of Julia Jacklin, Elizabeth Hughes and Ryan K Brennan. Coming off the back of a sold out Australian album tour, Phan Fern will be celebrating their 4th annual Christmas Extravaganza! on December 20th at the Metro Theatre in Sydney. 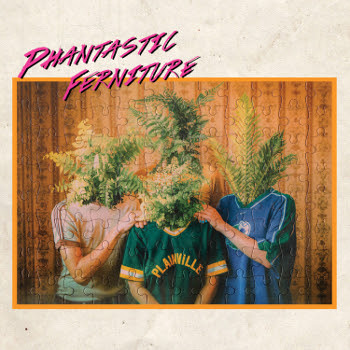 Phantastic Ferniture will be closing the night performing songs from their acclaimed self-titled debut album, including singles ‘F**kin ’N’ Rollin’, ‘Gap Year’, ‘Bad Timing’ and ‘Dark Corner Dance Floor’. Phantastic Ferniture’s debut album – released via Makeout Records / Caroline Australia – has garnered overwhelming international and local praise from the likes of triple j (Packet Album), FBi Radio(Packet Album), 2SER (Feature Album), The Sydney Morning Herald (Album Of The Week), ELLE Australia, CLASH, DIY, Pedestrian TV, Jezebel, Wonderland, Tone Deaf, Paste and Monster Children, among many others.